You will fall in love with Connie ring for its unusual contemporary design. Black and white formica stone sits in rought silver plated metal framing. Extraordinary ornament with clear crystal studs. 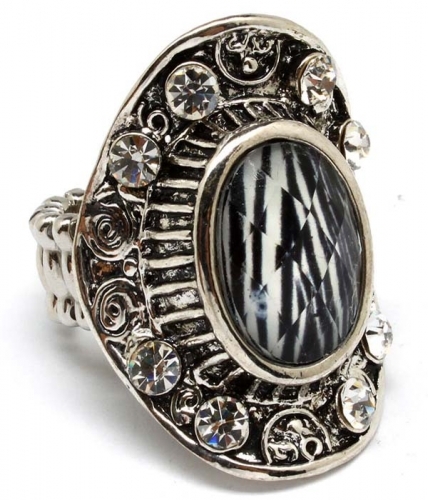 Order this gorgeuous adjustable ring now from Australia's fastest growing online jewellery store.